UK's Largest Careers Speed Networking Event for Young People, 20 October 2016, Lord's Cricket Ground Pavilion. On Thursday 20 October 2016, over 350 of London’s most successful business leaders and professionals shared their knowledge and experience with 330 young people at Lord’s Cricket Ground. The ‘careers speed networking’ event – the largest of its kind ever to take place in the UK – gave young Londoners aged 13-15 the opportunity to gain careers advice in one-on-one, four minute networking sessions with professionals. Research by the CBI (Confederation of British Industry) has found that young adults who recalled four or more business interactions while at school were five times less likely to be a NEET (not in education, employment or training) and earned, on average, 16% more. The event was run by Team London in partnership with Marylebone Cricket Club's Community Development team. Preparing the next generation for the world of work and giving youngsters more ways to engage with business opens up opportunity, helps to improve their life chances and ensures that London’s economy has the skilled workforce that it needs to grow. It’s great to see so many professionals volunteering to share their expertise and top tips with teenagers. I encourage even more businesses to volunteer just a little time to give our future leaders and entrepreneurs guidance as they explore their future career paths. Jules Pipe, Deputy Mayor for Planning, Regeneration & Skills. This event was a great success last year so I am pleased we are hosting it again – another example of our commitment to engaging with our local community. We're delighted to be working closely with Team London, which adds to our existing work with a number of local organisations to help provide opportunities for local young people seeking employment and careers advice – some of which will be in the sports industry. I would like to thank all the business people and the wide range of MCC staff who are giving up their time for this event, and I hope it is beneficial to the young people who attend.' Derek Brewer, MCC Chief Executive. 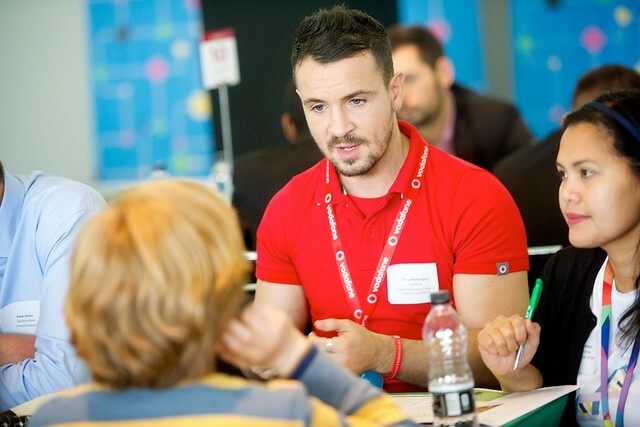 First run in October 2015, this youth careers education event sees business volunteers from all sectors of business give hundreds of young people the chance to be inspired and explore the variety of careers London has to offer. Enterprise Adviser volunteer Ruth Steven talks about her careers education work with South Rise Primary in Greenwich.